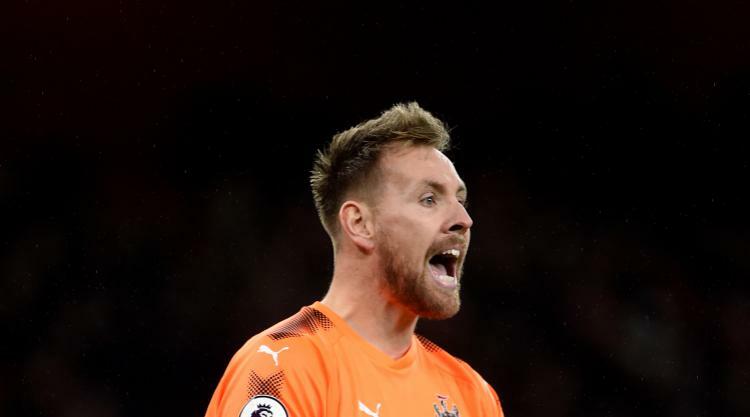 Newcastle goalkeeper Rob Elliot wants the Magpies to follow the example set by other Premier League relegation candidates and turn their form around. Rafael Benitez's side lost 1-0 at Arsenal on Saturday as their winless league run stretches back to October 21. Mesut Ozil scored a superb volley to settle a close game in favour of Arsenal and hand the Gunners a much-needed victory in their quest to finish inside the top four. Newcastle, promoted as Sky Bet Championship winners, have much more modest ambitions as they look to survive. Four successive defeats have left the club in the bottom three, with takeover talks still rumbling on in the background. But Elliot believes other clubs who are enjoying an upturn in results can show Newcastle the way as they look to get out of trouble over the festive period. "That's the difference in the Premier League - if you put a good run together you can shoot up the league," he told the club's official website. "We've seen it with Everton, West Ham and Crystal Palace. We need to get those points back on the board and continue from there. "Two or three wins can turn the table around really quickly but we need to make sure that we show the same commitment and passion that we showed (against Arsenal) and be a bit more ruthless in front of goal. "When you get to this stage of the season, every game in the Premier League is a significant one. West Ham's the next game, and we've got to focus fully on that and make sure we do all we can to go there and get a good result." Arsenal had not won in December until Ozil's spectacular volley proved enough to earn them three points on Saturday. Manager Arsene Wenger made just one change from the side which was held to a 0-0 stalemate at West Ham as club-record signing Alexandre Lacazette returned in attack. That meant a second successive Premier League start for Ainsley Maitland-Niles, with the 20-year-old now wanting to use the Newcastle victory as a marker heading into Christmas. "That's just the start of what's to come for us," he said. "We need to carry on with the good performances, stay strong at the back and not concede. We made it a bit harder for ourselves in the last 20 minutes because we should've tried to keep the ball more, but Mesut's goal was fantastic. "He's deserved it because he's been playing so well recently. To top it off with a goal like that is really good for him." Wenger was suitably impressed by Maitland-Niles and has backed the England Under-21 international to make a name for himself at the Emirates Stadium in years to come. "I believe he is the future," he said. "He can play left back, right back, central midfield. Of the three positions, maybe the least natural for him is left back, but he adapts very quickly and is a good defender."